Friday and Saturday nights doors open at 6:30 p.m. for picnics and a good time with friends prior to the outdoor performance at 8:00p.m., so bring your picnic basket, your favorite beverage, chairs (low back sand chairs on lower tiers, or standard height chairs on upper tiers), and bug spray. 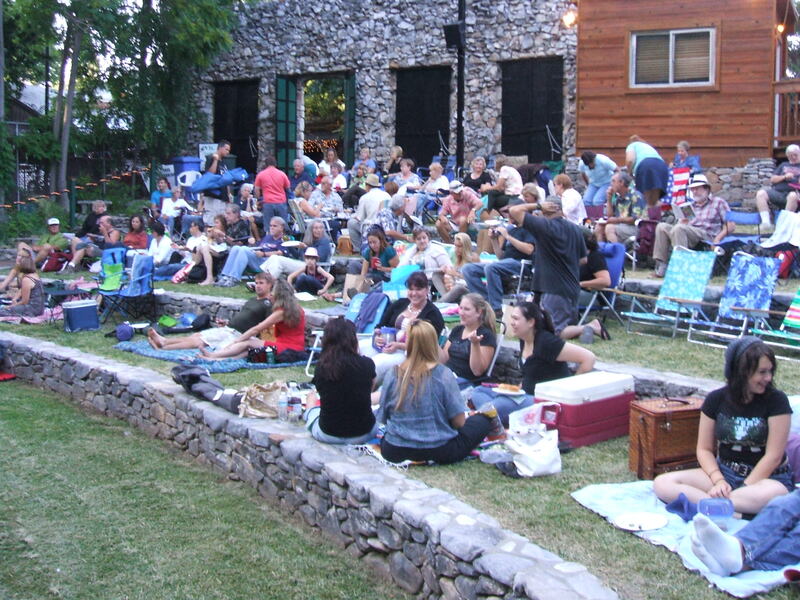 Even on hot summer nights, the amphitheatre will get cool, so be sure to bring your jackets and/or blankets! 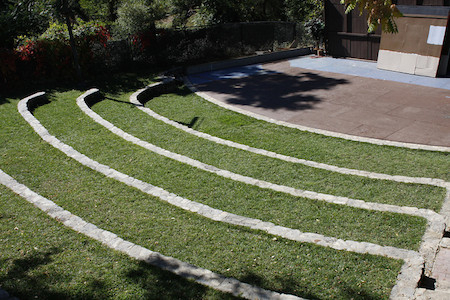 Amphitheatre seating capacity is 250. Should it rain during a performance on the Amphitheatre stage, the show will continue. If you choose to leave a performance due to rain, you are entitled to a voucher during the first hour and fifteen minutes. To receive your voucher, you must be present as the play begins, and you must turn in your ticket stub to the Box Office. If a performance on the Amphitheatre Stage is cancelled during the first hour and fifteen minutes, you may exchange your ticket stub for another show for the current season, or receive a voucher good through next season.